Going Mobile In China: Is This A Good Idea For McDonalds And Yum? In order to boost sales, McDonalds and Yum are going mobile in China, is this a good idea? Let’s face it – being a product manager at a billion dollar global restaurant firm cannot be an easy job. Over at both McDonalds and Yum Brands (think KFC, Pizza Hut, and Taco Bell) their product managers realize just how important the China market is to their firms. Both firms realize that they need to take steps to modify their product development definition in order to boost sales in China and having taken a look at the 885M Chinese people who own mobile phones, both firms have decided that they need to work more mobile into how they do business. The past year has not been kind to either of these global restaurant chains. In all honesty, it’s not really their fault and there’s no way that a product manager could have anticipated the problems that they were going to face. A supplier that both firms used was accused by the China media of supplying both firms with expired meat. When this story broke, both firms experienced a sales slide that they’ve not been able to come back from. It can be difficult to determine just how important China is to both firms, but if you take a look at their financial results, a story starts to emerge. Yum reports that it makes roughly half of its total revenue from the China market. In a recent quarter, they reported that their sales in China fell by 4.9%. McDonalds does not report how much money it makes in China, but they did report that their sales declined by 4.8% in the first quarter recently. This isn’t going to be looking good on anyone’s product manager resume. As product managers, when we are faced with market challenges like this, we need get creative. We need to take a very careful look at our market and see what it is telling us. When you take a look at the Chinese consumer market, two things immediately stand out. The first is that Chinese consumers are very digital – everyone has a mobile phone. The second thing is that credit cards are not widely used. Most people pay for things with cash. If you are running a restaurant, you can just imagine how this slows everything down. Both McDonalds and Yum have decided that the way to get people to come back into their restaurants and start buying food is to add more mobile support to the buying process. Although they are taking different paths to get to where they want to be, both firms are going after the same two goals. Both firms want to allow their customers to use their mobile phones to place orders and then when they show up in the store to pick up their food, they want them to be able to pay for the food using their mobile phone. McDonalds is interested in taking the use of the mobile device to place an order one step further. The McDonalds product managers have created what they are calling a “Create Your Own Taste” kiosks that allow customers to build their own burger choosing from 24 separate ingredients. This new feature has exceeded McDonald’s estimates by 5x and they are currently considering rolling it out to more restaurants in China. Both McDonalds and Yum are leading the way in China. 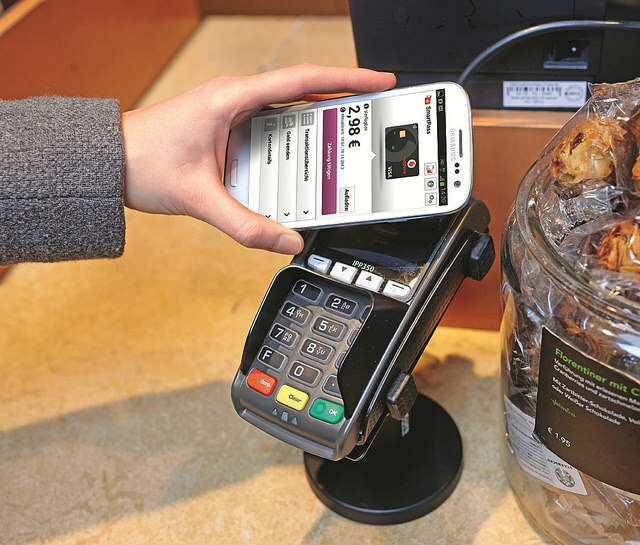 Although it is true that customers would prefer to make payments with their mobile phones rather than their purses or wallets, not many firms currently support this ability. The people who watch such things are saying that they expect mobile payments to take off faster in China than in the U.S. in part because of the lack of use of credit cards. If McDonalds and Yum can get this right, then they’ll be in the right place at the right time! The challenge of doing a product management job well can often have a lot to do with how large of a market you are trying to serve. Over at McDonalds and Yum Brands, their product manager job description tells them that they’re going after a global market and they especially want to do well in China. This is not going to be easy to do, but they think that mobile is the key to their long term success. Both firms have been hit with a scandal in China that caused their sales to drop off. In order to win back customers, they now want to start to use mobile process to allow customers to both place orders and then to use their mobile phones to pay for those orders when they drop by to pick up their food. McDonalds is taking this one step further and establishing kiosks that allow customers to custom design their burgers. Mobile payments are expected to take off in China and this represents a great opportunity for both firms. Both McDonalds and Yum product managers are taking a big risk in trying to roll out support for mobile services in China. However, they find themselves in a difficult position where sales are declining and competition is increasing. If they can successfully make the purchasing process quicker and easier then they stand a very good chance of winning more customers. If their plans work in China, then they’ll have to decide if they want to then roll them out to the rest of the world! Question For You: Do you think that there will be a lot of fraud as the firms switch to an all-electronic means of buying goods? Will Offering Breakfast All Day Help To Save McDonalds?